Intuit Inc. (INTU) Shares Sold by Conning Inc.
A comeback at Olive Garden, the Italian restaurant chain that was at one time struggling has helped Darden Restaurants outperform its peers in casual dining. Sales at its same-restaurants increased by 4.4% for Olive Garden during its latest quarter, handily outperforming expectations on Wall Street. The results were the fourth consecutive quarter of gains that were better than had been expected at Olive Garden which helped Darden experience its best rally in the past three months. Olive Garden, the largest chain owned by Darden, has succeeded in recapturing its allure since a power struggle led to Darden’s complete board being replaced. Starboard Value, an activist investor, pushed a proxy battle with Darden during 2014 and unseated each director at the company based in Orlando, Florida. Since that time, Olive Garden has launched new basics menus and has overhauled operations in its kitchen. 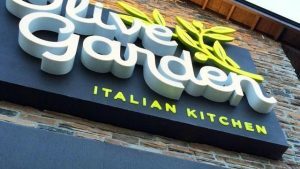 The emphasis Olive Garden has put on its to-go orders, its entry level prices points and its offerings that are fully customizable again has proved to be successful, said one analyst on Wall Street. The restaurant chain also has rolled out options on its menu that are healthier, such as shrimp scampi that is just 500 calories. The performance by the company brings wider optimism that the dining sector in the U.S. can turn itself around after slumping this year. Same store sales for the industry were up just 0.6% during May, said an online restaurant research firm. Close to 30% of customers of Darden’s are millennials, said Gene Lee its CEO on Tuesday during a conference call. He added that millennials want to eat out and Olive Garden like its peers had advertised its to-go business and had also started to experiment with a delivery service. Darden shares were up by 4.8% at their highest during Tuesday trading which marked the best intraday gain dating back to the end of March. They had climbed over 24% in 2017 through the close of trading on Monday. Same-store sales at Olive Garden beat the growth predicted of 2.8% by analysts. Another of Darden’s large chains, LongHorn Steakhouse saw its same-store sales increase 3.5%. Analysts were expecting an increase of 1.8%. The other brands of the company including Yard House and Capital Grille did not grow with the same pace. Darden is expecting its earnings for the years, excluding certain items to be between $4.38 and $4.50 per share.